Canadian singer Justin Bieber was in Shannon Airport just hours before his reported bust-up with Lord of the Rings actor Orlando Bloom. There was a frenzy of activity on social media sites with several people reporting they spotted Bieber in Shannon on Tuesday night. According to several messages on Twitter the 20-year-old was seen in Shannon where the private jet on which he was travelling made a technical stop. A photo later appeared on what is believed to be Bieber’s own Instagram page, showing the star and a pal boarding a private jet at Shannon while it was still being refuelled. It’s understood Bieber was travelling from Los Angeles to the Mediterranean island of Ibiza. However, soon after arriving in Ibiza, Bieber is reported to have gotten in an altercation with English actor Orlando Bloom (37). Several videos posted online show Bieber approaching Bloom in a celebrity restaurant. 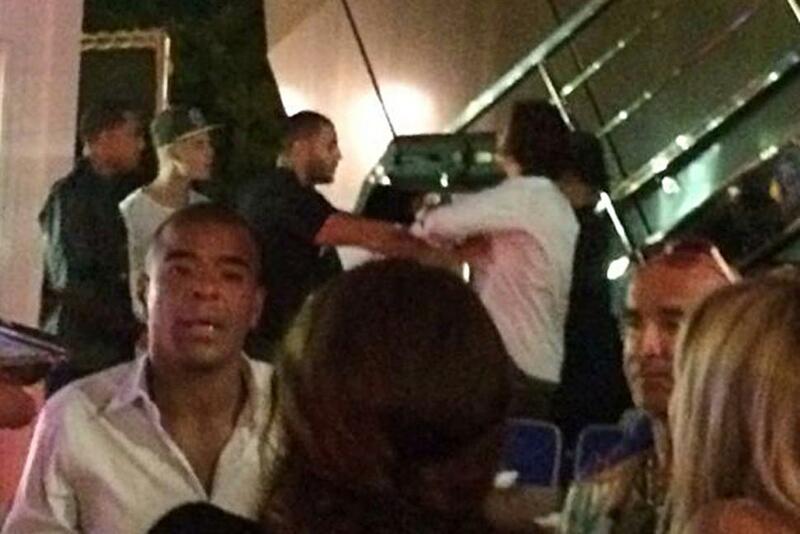 Bloom appeared to move towards Bieber an attempted to hit him. Some reports say the row started after Bloom refused to shake Bieber’s hand. Others have said however the Bieber made a remark about Bloom’s former wife Miranda Kerr with whom Bieber was photographed in 2012.